Chad is a native of Lincoln, Nebraska. Growing up, being a police officer was on Chad’s mind. Not having done well in school with writing or grammar, the idea of ever writing a book would have seemed as made up as any fictional story. 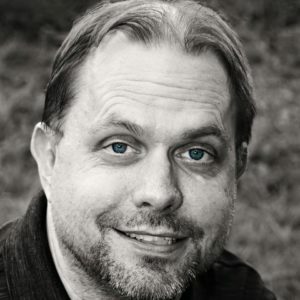 Chad attended Wayne State College from 1996 – 2000 and received his bachelor’s degree in communications with an emphasis in public relations. 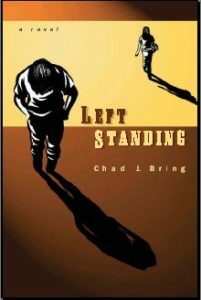 In addition to writing Left Standing, Chad co-wrote a screenplay with a former roommate from college entitled, “Halfway Point”. The film is produced by their independent filmmaking company, RoomMate Productions. They have produced additional films including: “Laundromat”, “Kitty Cats & Exit Signs”, & “Silence” (adapted from the first chapter of Left Standing). Check him out on goodreads. Following Left Standing will be Left Unsaid – A story about the period between relationships when a person evaluates why the past relationship failed, what went left unsaid – what didn’t, and the fears and the baggage they carry with them to the next relationship.